This story is sponsored by Doogee. PhoneArena's opinions in this article have not been affected in any way! Modern smartphones come with many bells and whistles. When it comes to buying a new handset, we all have our preferences as to what specs are most important for us, but great battery life is a trait that's appreciated by every user. If you're looking for a handset with a truly colossal battery, then the upcoming BL12000 model of Chinese manufacturer Doogee will certainly not disappoint. 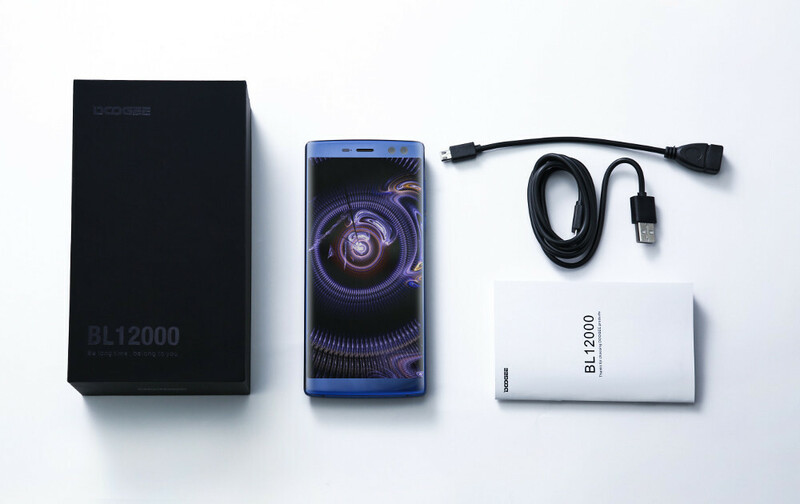 As its moniker suggests, the BL12000 packs a massive 12,000mAh power cell that is easily the largest we've seen on a smartphone. That's a lot of power that is sure to deliver quite some time between charges. Doogee also promises super-fast charging of the battery - it says that a full charge can be achieved in four hours, which is quite impressive for a power cell of this size. Other notable features of the BL12000 include a 6-inch FHD display with an aspect ratio of 18:9. The screen is encompassed by razor-thin bezels on its sides and more noticeable top and bottom bezels. The phone has dual-cameras on both its front and back. The rear composition includes one 16MP camera and an additional 13MP snapper. This allows for shallow depth-of-field/bokeh effects. At the front, you get a combination of a 16MP and 8MP wide-angle sensors that are suitable for group selfies. When it comes to hardware, the BL12000 sits firmly in the mid-range category. It's powered by an octa-core MediaTek MT6750T chipset that's coupled with 4GB of RAM. The handset comes with 32GB of internal storage, while it also features microSD support of up to 256GB. It's also worth pointing out that the device features a fingerprint scanner and a facial recognition technology which Doogee calls Face ID. In terms of software, the BL12000 runs on Android 7 Nougat. Of course, packing such a large battery on a smartphone has its drawbacks - the BL12000 measures in at 162 x 74.7 x 14mm (6.37 x 2.94 x 0.55 in) and weighs 300g (10.58oz). Compared to an iPhone 8 Plus, the device is a bit taller and narrower, but it's almost twice as thick and 100g (3.52oz) heavier. This might be a big con for some, but at the end of the day, you won't find many phones that can compete with Doogee's handset in the endurance department. The BL12000 will go on sale on January 8th. 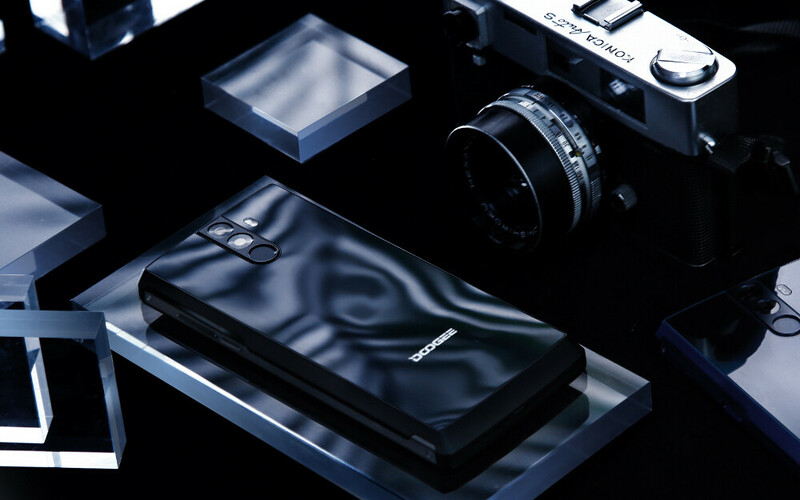 Doogee has set a $179.99 price tag for the device, and the available color options are black and blue. 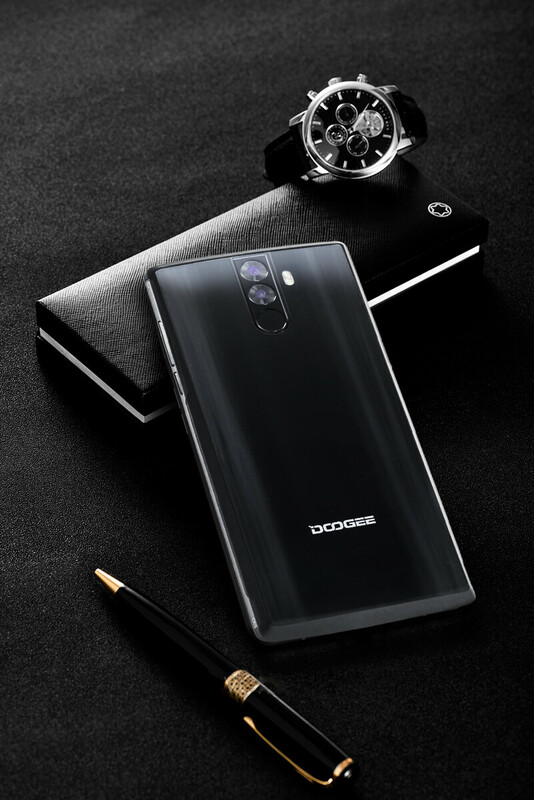 If the phone interests you, you can grab one on Doogee's official store or Banggood, the links to which can be found below. I hope they made it durable because for how thick it is already, putting a case on it would push the device to be around 3/4" thick which is excessive to say the least. That would be double the thickness of my Note 5 in its current case so yeah that wouldn't be for me lol. And still, it won't give you a day full of use. I don't trust the battery capacity, their camera's megapixels, and their storage capacity. It might be 12000mah, but a 3000 mah battery from a respectable company will last you longer. I think that's a bit of an exaggeration, but yes, a lot of the little-known Chinese companies do lie about battery capacities. Not only that, they don't bother to do a lot of optimizing just because the battery is so large. So what should be 4-day battery life ends up being more like 2. 1- We are talking about Doogee not Lenovo. 2- And that's your opinion. To me, I would pick up any iPhone before buying a Lenovo product. I can agree with that. I'm an Android guy, but I would buy an iPhone before I went with some lesser Android manufacturer that wouldn't support device for any decent amount of time. duh of course anyone would choose iphone over no-name midranger. Where did I mention mid-ranger? I'd pick an iPhone over a flagship Android from any company I don't trust. My Lenovo P2 delivers about the same performance of my older Note 5... not bad at all. Solid build quality, outstanding battery life, snappy performance but average camera. Lenovo laptops are some of the best too. You're talking about doogee and lenovo which you don't own and familiar with. I'll choose iphone too but not because it have battery life. Yeah that's pretty ignorant and dumb comment. This will last 3 days at least but not worth it for weight and bulkiness. It needs a battery that size with that pile of shíte mediatek processor.. Exactly, why not spend more and go with an SD820 or 835? It's an inch thick, yet they keep the camera bumps? Why? The phone is actually closer to about half an inch thick. The hump on the camera looks to me more like a design choice than anything else. If you look closely at pic 3, you can see that the cameras are actually flush. It's only the area around the cameras & the fp scanner that are raised. My guess is that they did it intentional to protect the cameras from scuffing when they are put down on a hard surface. O.55 inch doesn't not equal 1 inch. What are you reading? Obviously he's rounding up, he learned that in elementary school. No mention of frequency bands... Thanks Phone Arena. I have an Oukitel K10000 (passed it on to my son) and it delivered out-of-this-world battery life (5 - 7 days) on the expense of mediocre performance. The problem is that OEM's use MTK to prolong the battery life, but a mid range SD630 or SD660 would be just as efficient and a much better choice. I have S8+ with zerolemon 8500 mAh battery. I'm a Road warrior..